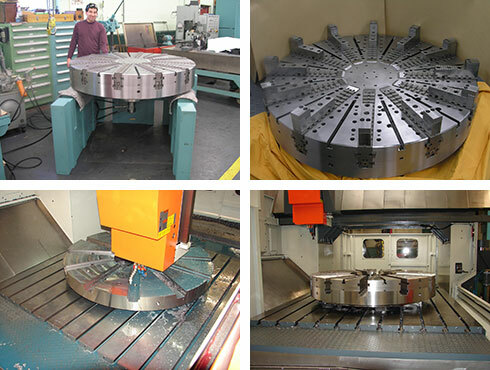 Custom, Large Diameter Chucks for Rotating and Non-rotating Applications are available in all types and sizes up to 72” in diameter. 2 Jaw, 3 Jaw and 2/3 Jaw wedge type power chucks are offered with Acme serrated , tongue and groove and American Standard type “A” mounting. 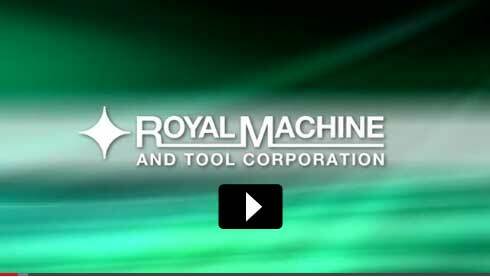 Royal Machine and Tool serves the world’s leading industries by designing and building custom and standard workholding devices, from simple manual fixtures to sophisticated hydraulic fixtures with multiple faces. Royal also produces custom and standard chucks for rotating and non-rotating applications in all types and sizes up to 72″ in diameter…as well as a complete range of Manufacturing options and services, from single prototype machining to high volume production requirements. Over 65 Years of Workholding Experience. Over 35,000 Square Feet of Manufacturing Facilities. Over 35 CNC Machining Centers. 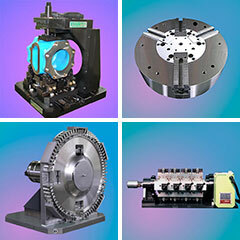 All Workholding Devices Manufactured in the USA.